cPicture is a portable app: no Installation required. 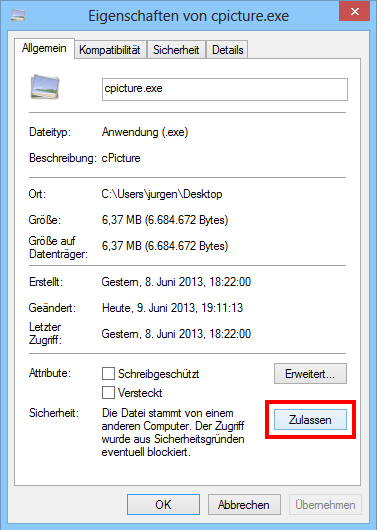 cPicture is available in a 64bit and 32bit version. For best performance run the 64bit version on a 64bit Windows because running a 32bit program on a 64bit Computer requires an emulated environment which can be slower. Click on the Control Panel in Windows to find out if a 32bit or a 64 bit system is installed. If you don't know which version to use, download the 32bit Version which runs on both Windows architectures. Click the green download button (64bit or 32bit) and select 'Open' from the download dialog. 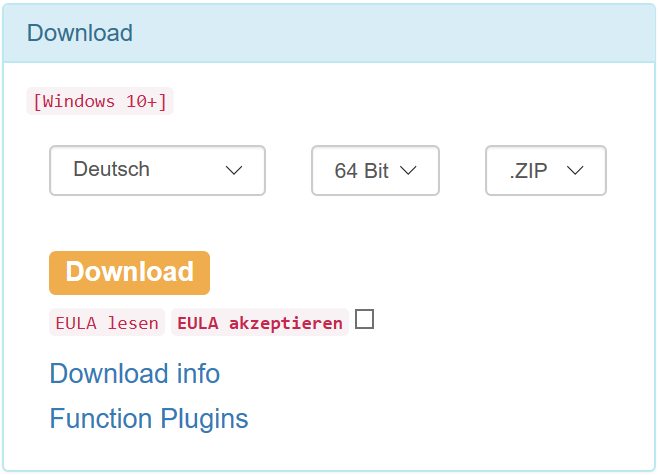 In case your Browser doesn't support this function and if you have read the EULA, you can download cPicture directly as a portable ZIP or as a Windows Installer (MSI). 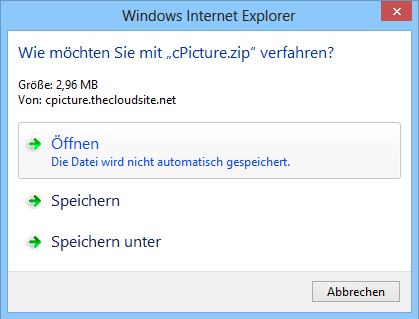 The download files are not digitally signed so they should not be downloaded from any other location except from thecloudsite.net. You need to skip the security dialog for the download. 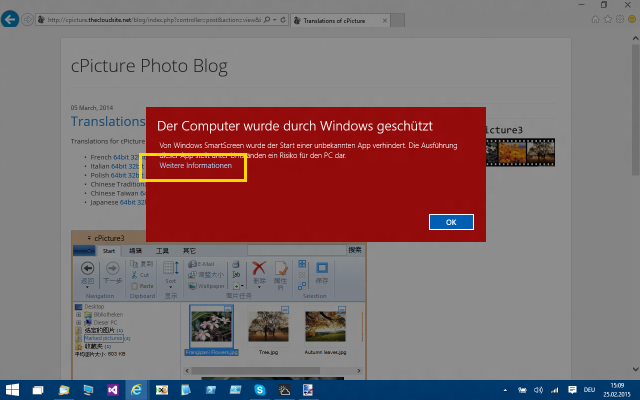 Click on cpicture.exe to run cPicture.